Manchester City are plotting a move to bring Paris Saint-Germain midfielder Adrien Rabiot back to the club when his contract runs out next summer. 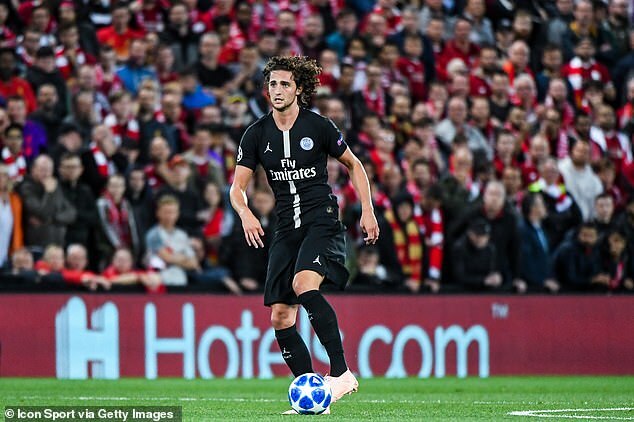 Barcelona were reportedly interested in bringing Rabiot to the Nou Camp during the summer transfer window, but PSG were able to fend off interest as he enters the final 12 months of his contract in the French capital. Liverpool, Bayern Munich, Chelsea and Juventus have all been linked with the talented 23-year-old as they look to get a free transfer over the line. Now, according to the Daily Star, Pep Guardiola has entered the race to sign Rabiot and bring him back to the Etihad. He spent a brief period in Manchester as a teenager but quickly returned to his native France after suffering from homesickness. Rabiot is reportedly seeking £150k per week in wages and an £8m signing-on bonus, which makes him an attractive signing in financial terms given there would be no transfer fee involved. Rabiot was not named in Didier Deschamp’s 23-man World Cup squad and refused to be put on the standby list before the tournament, which Les Bleus went on to win. The 23-year-old has made over 200 appearances for the French giants and played an important role in their dominance of Ligue 1, winning four titles. He has also won multiple domestic cups since moving from Toulouse in 2013 and has one goal in his five league appearances so far this season.